The 2013 Hyundai Veloster Turbo will compete against the likes of the VW GTI, Mini Cooper S and Honda Civic Si. LOS ANGELES -- Hyundai will launch a turbocharged version of its Veloster sporty coupe this month. The turbocharged engine produces 201 hp and 195 pounds-feet of torque, compared with 138 hp and 123 pounds-feet for the nonturbo Veloster. The 2013 Veloster Turbo's base price is $22,725, compared with the nonturbo 2012 Veloster's base price of $17,459. Both prices include shipping. The turbo version also comes with 18-inch alloy wheels, a wide-mouthed grille, a rear bumper that houses a dual-tip exhaust pipe and other items. The turbo version will not increase Veloster production designated for the United States, the company says. Hyundai sells every Veloster it can get for the United States, said John Krafcik, CEO of Hyundai Motor America, at a recent press briefing here. 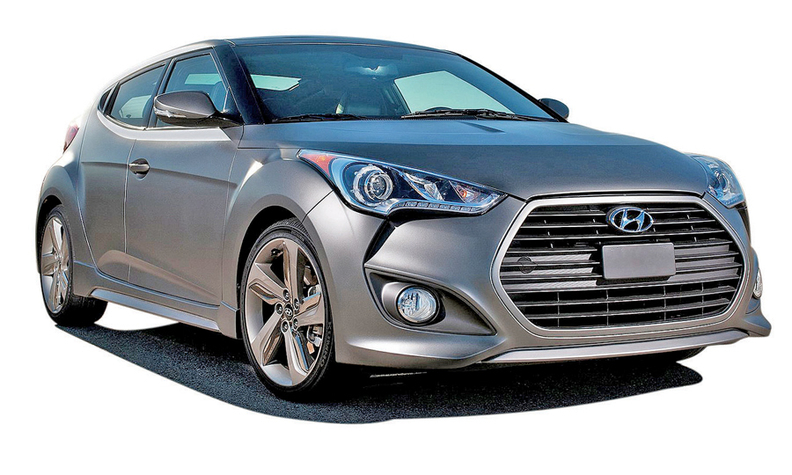 Hyundai sold 15,597 Velosters through May. The Veloster Turbo will compete with sporty small cars such as the Volkswagen GTI, Mini Cooper S, Honda Civic Si and Fiat 500 Abarth.